At the Wigan Junior Latics Presentation Evening at the DW Stadium, the Joseph’s Goal Cup for the biggest contribution to the club was awarded to Lynn Zani. A cheque was also presented to Joseph’s Goal. 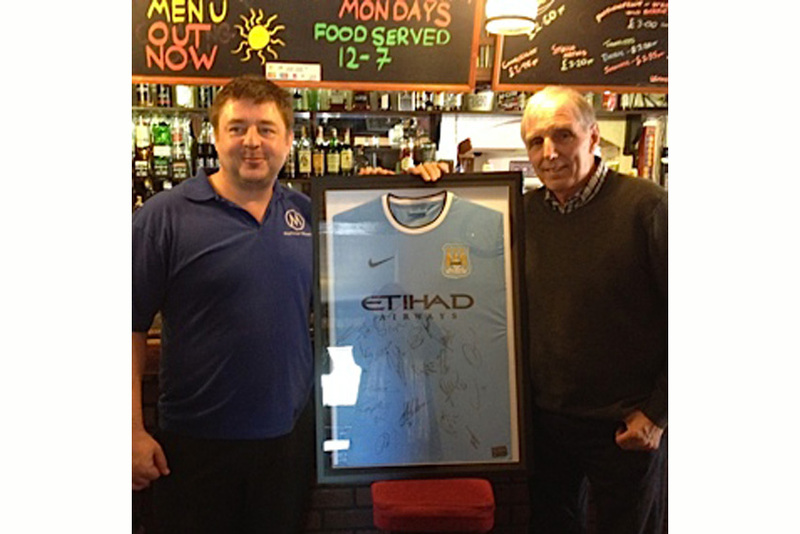 A Manchester City shirt signed by the 2013 – 2014 Premier League Champions was raffled for £505 by the Delph Tavern, Tontine. Thank you to landlord Ian Roscoe, (pic).